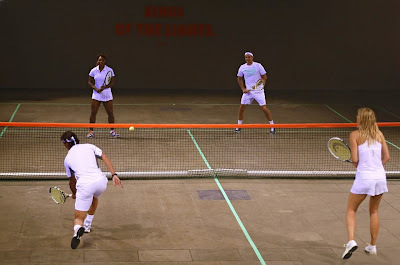 TENNIS BOULEVARD: Serena, Roger, Rafa, Masha play in the dark - Coolest match ever! 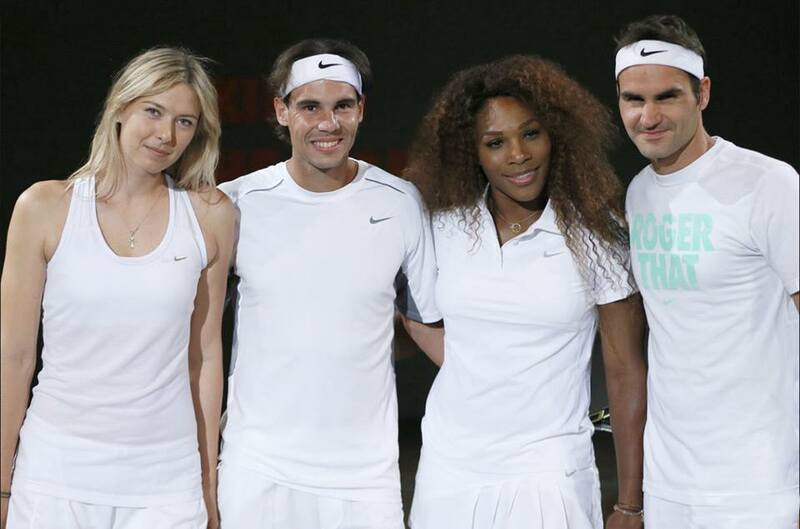 Serena, Roger, Rafa, Masha play in the dark - Coolest match ever! Four top tennis stars - Serena Williams, Roger Federer, Maria Sharapova and Rafael Nadal - playing in a pitch dark court sounds like a crazy idea. Not for Nike Tennis who promoted a glow-in-the-dark exhibition match Thursday in Paris with its top ambassadors. We don't know who won this mixed doubles match but we must say the effects are absolutely beautiful.